Underlying the need for further research to help identify and diagnose rare diseases and find their effective treatment, a parliamentary panel has recommended allocation of more funds to the Indian Council of Medical Research (ICMR). In view of the manifold increase in cases of dengue and chikungunya in the country, the Committee on Health and Family Welfare stressed that the role of ICMR is of prime importance in researching and developing new medicines for the cure of such diseases. “It has also come to the notice of the Committee through recent media reports that some pharma companies have collaborated for development of dengue vaccine, targeted against all four serotypes of dengue virus. “The Centre has already conducted pre-clinical studies over the past seven years. Further, another multinational company is trying to make its way into the country with its vaccine to cure dengue patients,” it said. “Since the whole process of developing drugs and then clinically testing them entails a lot of time, efforts should be made by ICMR to do focussed research for funding cure for vector-borne diseases,” the Committee recommended. The Committee further observed that in view of the dynamic inter-national health research environment and the current and future health challenges, the role of ICMR is very crucial and if its projects are plagued with under-funding, it can have very serious repercussion and undermine the desired outcomes in the health sector. 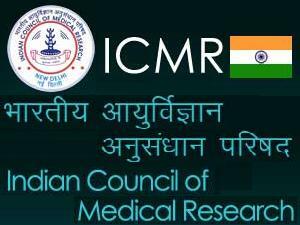 “The Committee, therefore, recommends that more funds be allocated to ICMR at RE stage. The Committee feels that there is a strong need for more research to help identify and diagnose rare diseases and to find more effective and affordable treatment for patients in the country, and therefore budgetary allocation in this field is sine-qua-non,” the Committee said. Noting that out of Rs 80 lakh, only Rs 39 lakh has been utilised, the Committee said that such instances of under-utilisation of funds reflect lack of efficiency of the administrative machinery and planning. “The Committee would expect the Department to devise an effective mechanism for ensuring optimum and judicious utilisation of allocated funds for 2016-17 under this head,” it said.